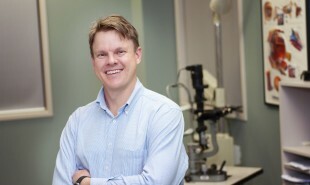 Dr Michael Merriman specialises in glaucoma, cataract and refractive surgery and general ophthalmology. He is also a refractive surgeon at the Laser Eye Centre and a consultant ophthalmologist at Waikato Hospital. Dr Merriman graduated from Auckland Medical School in 1990 and completed his Ophthalmic Specialist training at Auckland and Waikato Hospitals in 2001. Additional experience was gained by Dr Merriman in Fellowship training in the UK at the West of England Eye Unit followed by Fellowships at Moorfields Eye Hospital in London gaining further expertise in glaucoma, cataract and refractive surgery. Dr Merriman has also completed research projects which have been published in international journals and he presents his research findings at both local and international meetings. Hamilton Eye Clinic is an Affiliated Provider to Southern Cross Health Society for selected services.